Day 1 of the Lares Trek—and the rains came | Where to next? Day 1 on our Lares Trek had a late start—that’s if you call 6:40am late. Poor John managed to squeeze in a quick coffee before Odon, our guide, came to collect us at the hostel in Cusco. But my order hadn’t arrived so I was out the door without it. We carried our gear around the corner to a waiting van. Each trekker was limited to a duffel bag filled with no more than 7 kilos of gear for the whole four days. I took my sleeping bag, a super-warm bag liner, a rain jacket and rain poncho, a change of clothes, thermals, extra socks, limited toiletries, a hat, a book, a head torch, a water bottle and my electric toothbrush. Someday I’ll do an item on toothbrushes. All this was put into a large plastic bag that went into the duffel. Hey, it could rain! My camera and case (plus bug repellent and sunscreen in the side pouches) weren’t counted in the 7 kilos because I was going to carry them, instead of putting them on a pack horse. That said, I reckon my duffel weighed no more than 5 kilos and probably less. Our first stop was to pick up Angie and Miguel, a Spanish sister and brother, who were joining our group of five trekkers. Then it was off to Calca, an hour or so up the road, for breakfast and supplies. 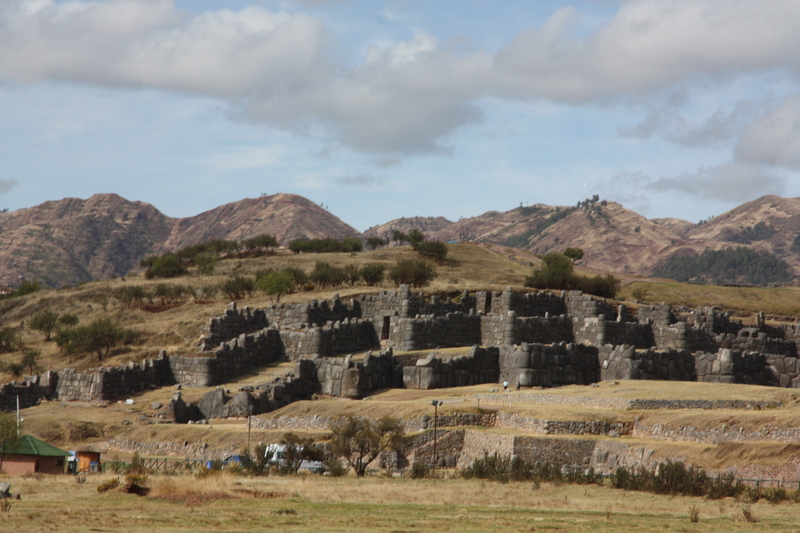 On the way, we passed by the Sacsayhuamán ruins just north of Cusco. Sadly we didn’t have time to stop, so it will have to stay on my to-do list. In Calca, Poor John and I headed straight to the market and found the little eateries upstairs. For the extravagant sum of $2, we each had a toasted cheese sandwich and two cups of coffee. The coffee is interesting and I regret not taking a picture. You get a jug of a thick coffee syrup that you pour into your cup and then dilute with hot water to the desired strength. It’s not too bad as coffee goes, and a darn sight better than the Nescafe that was so often served in Ecuador. There we’d order coffee and get a cup of hot water and a jar of instant. After breakfast we wandered down into the market proper and bought some snacks for the rest of the day. The two packets of chocolate biscuits proved to be very popular—not during the trek, but four days later when the train back to Cusco stalled. Francisco, one of our support team, also joined us at Calca, along with his wife and young son—who did not join us on the trek. 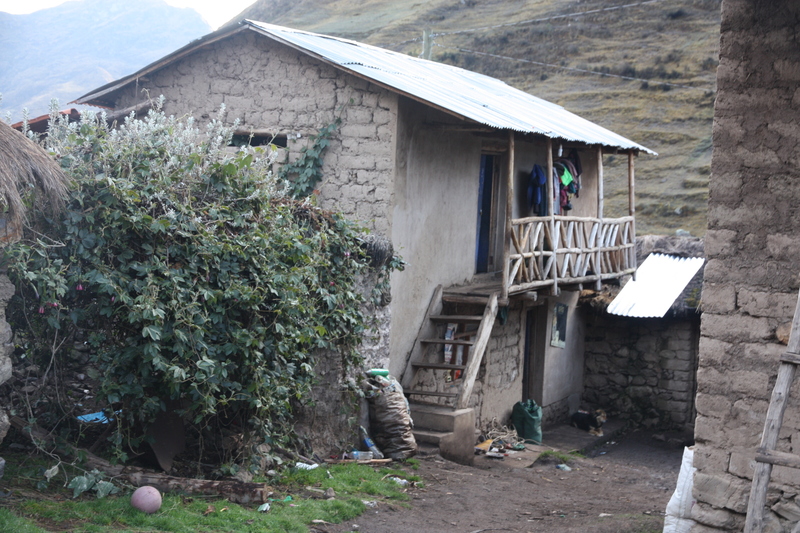 After another hour, we reached Lares where we bought bottled water and collected Grigorio, another support team member. 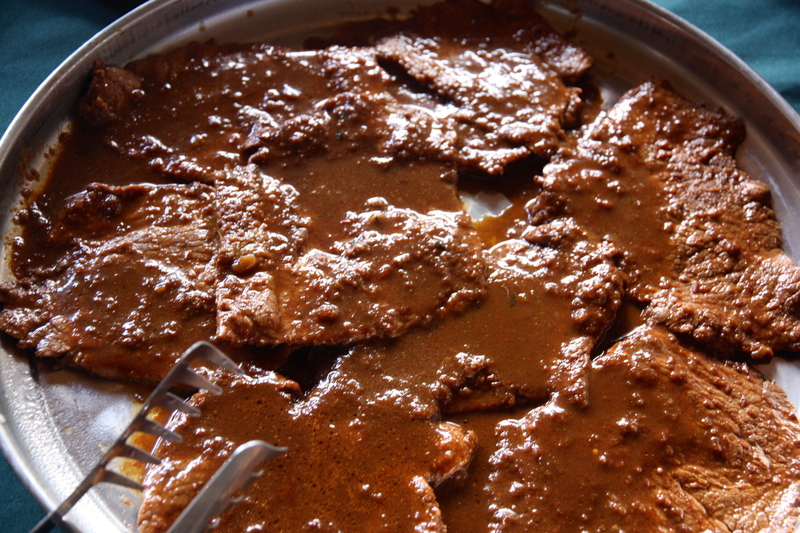 Primativo, the cook, was already with us, and the two horsemen would join us at the start of the trek. 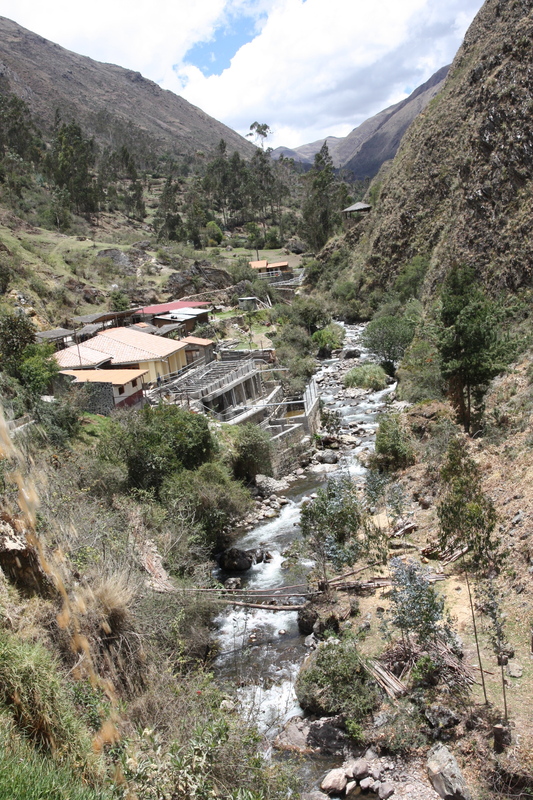 The stop in Lares included a side trip to the thermal baths, which is also where Primativo whipped up the first of our many great meals. 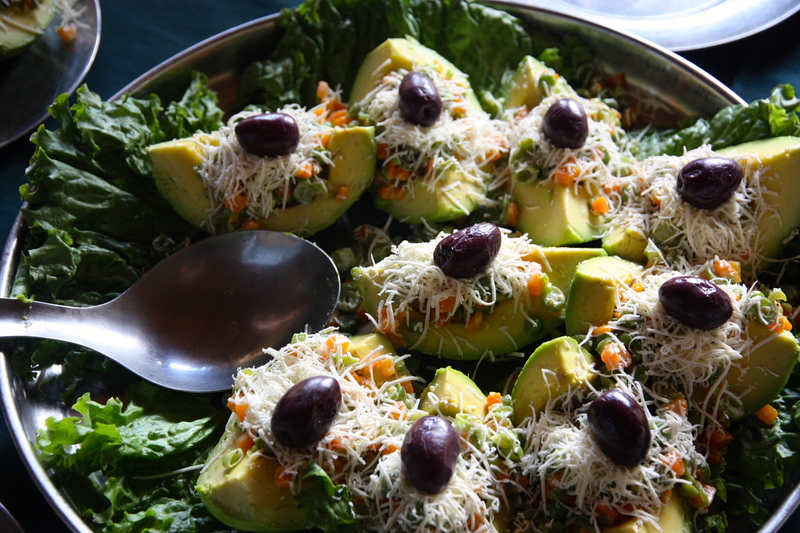 What a great start—alpaca steaks, potatoes and a rather fancy avocado salad. After the cleanup we head back to Collpana, which is where the trek began about 2:30pm. The laden horses (carrying pots, pans, tents, food and such) and support team shot up the hill so they could have camp ready for our arrival, and we began the 6 kilometre uphill leg. Within 15 minutes it started to rain, so it was on with our el-cheapo ponchos (made in Vietnam) and a wish that the rain would subside quickly. It didn’t. We trudged on, following the road and taking slight overland shortcuts to chop the ends off the sharp turns in the road. The rain turned to hail and as we turned corners, the deluge reverted from hitting us in the back to hitting us in the face. We came upon a wide-ish creek and I watched in amazement as a Quechau woman leapt from stone to stone. She was wearing a full skirt and sandals and carrying a large weight on her back. ‘Look at her go!’ I exclaimed, and then realized my turn to cross was coming up. I thought we were just passing by. My walking sticks and I tottered across the rushing stream, with the support team offering helping hands and adding a few extra large rocks for me to balance on to stay above the water line. It’s so laughable now. My trousers, socks and shoes were already drenched. I could have walked straight through the water without getting any wetter than I already was. But crossing the stream was the home stretch. Suddenly we were at Ezekiel’s family farm near Quishuarani. Our tents were up—and under cover. The duffel bags were there so I had a set of dry clothes. A camp stove was going so I could start to take a bit of the wet out of my shoes. Happy hour—with tea, popcorn and savoury biscuits—would be served at 6 and dinner at 7. Day 1 was almost over. I had not taken many pics because the camera was under the poncho. At 7:40pm, I crawled into my cozy sleeping bag and did not move again until 5am, when the need to pee became too great. It was a long drop toilet around the other side of the barn. It was clean, if muddy. What a day! I’m sure the end result was worth all this discomfort! PS how did you get your socks and shoes dry – or didn’t you?? Yes Wendy, the discomfort was worth it in the end, but the socks took two days to dry! Just as I thought—you can get most things in Australia. 🙂 Thanks! 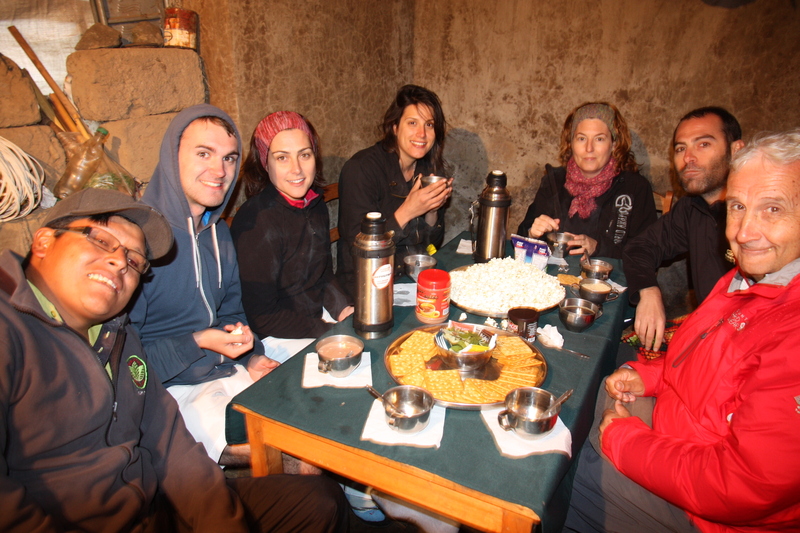 Introducing our trek in the Andes « Where to next?